W.O. Began his engineering life working on the railways, so it comes as no surprise that his cars are solid and heavy. But they are also powerful, in fact Walter Owen Bentley coined the phrase. "there's no replacement for displacement", crudely put if you want a bigger bang, you need a bigger cylinder! Started by Walter Owen, and his brother Henry, Bentley in 1919, Bentley Motors took their first Le Mans victory in 1924, a victory which prompted Ettori Bugatti to say that Bentley “Built the fastest trucks in the world”. Bentleys engine designs were advanced, even revolutionary for the 1920’s. The cylinder block and head were made as a single casting to cut down on gasket leaks. 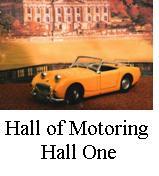 They had Aluminium pistons and overhead camshafts operating four valves per cylinder. Even dry sump lubrication! 1925 saw a new 6ltr engine and backing from Woolf Bonato, a millionaire with money to burn. He took to racing the Bentleys himself and along with several well known figures they together became the legendary “Bentley Boys”. Although 1925 and’26 were poor years for results the 6ltr engine was developing well and the foundations were being laid for future dominance. 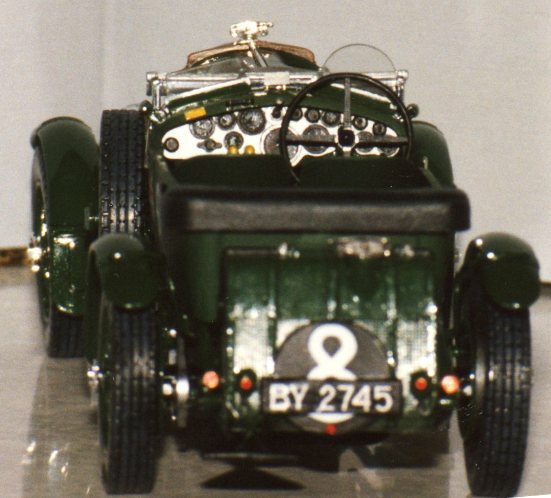 Bentleys won the 24hrs du mans consecutively from 1927 to 1930. Sir Henry “Tim” Birkin had won le mans with Bonato in 1928 but he saw value in supercharging the smaller 4.5ltr engine as the heavy cars really needed more power than the normally aspirated 6ltr engine could give. However W.O. was proud of his engines and hostile to forced induction, saying "to supercharge a Bentley engine was to pervert its design and corrupt its performance." So Birkin was left to find his own finance to supercharge private 4.5ltr cars. He was able to interest the honourable Dorothy Paget (of race horse owning fame) in the venture and her money enabled Birkin to push forward with the super charging plans. Engineer Charles Amherst Villiers, refused permission to modify the engine in any way, had to run the Roots type compressor off the front end of the crankshaft, in front of the radiator, giving the Blower Bentley a unique and easily recognizable appearance, but creating understeer. The carburettors had to be moved down beside the compressor to feed atomised fuel through the whole pressurising system. Because of previous experience with stone damage the Carbs’, lights, radiator and fuel tank were all protected with mesh stone guards. The Blower Bentleys certainly were powerful, and fast. Unfortunately too much so and they regularly shed the tread from their tyres. There is one famous picture of a Bentley with its rear mudguard all bent up, caused by a tyre blow out on one of the fastest sections of the track! Birkins belief in the supercharging route was vindicated when he came 2nd in the Pau grand prix of 1930. A stripped down 4.5ltr “blower” running against thoroughbred grand prix cars, and around a twisty street circuit, was a most remarkable feet. Ian built this blower in 1996 from Heller's 1982 re-issue of the kit they first released in 1978, kit # 80722. The Heller Kit is very good, detailed and accurate. The downside then was how rare the kit was despite having been boxed by Humbrol/Airfix, Revell and Union too! Fortunately Heller has re-released the kit, currently kit # 80722 again, and Revell have been given the opportunity to use the moulds again too, their current release is kit # 07007, so there is now a glut of these kits on the market. Ian choose to go the whole way and add all the detail for the engine and the braking system. The whole area between the fire wall and dash had to be scratchbuilt, then the body parts and steering wheel were left free to remove so all this work can still be seen if required. The engine was detailed by use of generic photo etched parts. Photo etch was just coming onto the market then, there were no individual sets for specific cars then but generic shapes and parts were there to be used. Much of the wiring came from household items, like fuse wire, and was lined up appropriately to the false dashboard back. Mesh was used for the stone guards on the carb's, lamps and horns. All the main finish areas have been brush painted with Humbrol enamels. Citadel acrylic paints and washes were used for the interior seats and picking out the details. The Difference between the metal front panels and the fabric body was done by use of matt varnish over the original gloss green, this way the shades can stay the same while the texture appears to change a little. Ian now has the stripped down #18 Pau GP car kit, Heller kit # 80786, to build now too. One day there will be a pair of these kits standing together to celebrate one of Britain's most outstanding and innovative Motor car manufacturers.